Jakarta traffic authorities have decided that seven toll gates will be closed during the 2018 Asian Games. The decision was made after assessing a traffic simulation involving the closure of 19 tollgates on Tuesday. “We are studying the factors, such as effectiveness on the toll roads, conditions outside the tolls and effects of the gates’ closures. We will still close these seven gates,” Jakarta Police traffic director Sr. Comr. Yusuf said on Wednesday, kompas.com reported. The toll gates are set to be closed while athletes, officials and media leave the athletes village for the Asian Games venues and vice versa. The toll gates that will remain closed from 6am to 5pm are: Angke 2, Tanjung Duren, Slipi 2 and Taman Mini 1. Those that will remain closed from 12pm to 9pm are: Angke 1, Slipi 1 and Taman Mini 2. Jakarta has implemented traffic simulations and additional policies, including the toll gate closures and extension of the odd-even license plate policy, to improve traffic during the Games. 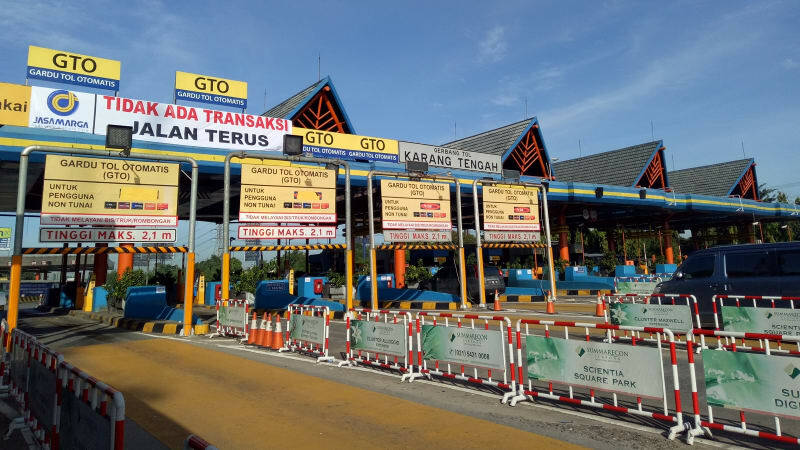 Verri, a motorist who originally wanted to pass through the Tanjung Duren toll gate in West Jakarta, said he was fined since he had driven his even-numbered car on the odd-even route Jl. S. Parman, West Jakarta, on an odd date. The closure was done at the expense of the citizens’ convenience, he added. “I know of the odd-even policy. What I did not know was the toll gate closure,” he said.